Neighbor's bonding together in community spirit celebrating friendship. A block parties gives neighbors a chance to meet one another in a relaxed setting and promote community spirit. A successful block party organizer will do some advance planning. So, start thinking about dates, activities, block party entertainment, and supplies. Next, enlisting the help of neighbors and find out what resources they can supply. Try to involve as many people as possible, and make sure everyone stays in touch. Finally, block parties require you to obtain traffic barricades from the city, contact the city and get your permit. Lastly, block parties can be any shape, size, or the entire subdivision. Block Party, want to keep the kids entertained and the adult amused? Hire a block party entertainer. A block party entertainer knows how to entertain to an audience, handle crowds, and keep people happy. Block parties are community event that requires family humor and a performer who can entertain all ages. One popular form of block party entertainment is balloon twisting. 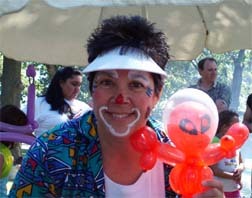 Create a carnival atmosphere with a balloon twister who can entertain not only the kids, but the adults. The block party entertainment should be light-hearted, and G rated. Live entertainment is very successful at block parties because it is interactive and covers all ages. Some block parties organizers consider inflatable jumpers as block party entertainment. Inflatable jumpers are just expensive babysitters and do not provide any entertainment for younger kids and adults. Plus you have to consider the possibility of injury, do to aggressive jumping. Balloons, kids, and fun, they all go hand and hand. Create your own carnival atmosphere right in your front yard. Have kids lined up around the entertainer, amuse adults with humor, and make this block party a social event that will have the neighbors talking for months. Have a lot of kids on your block? 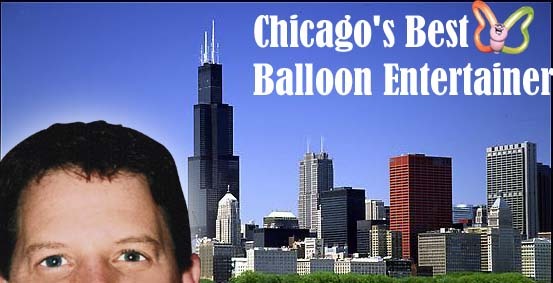 Consider the balloon show which entertains the whole block party all in 45 minutes.